Do you like scary games? Do you like to jump and scream and have fun while playing online games? If so, you have come to the right place! We are really happy to introduce the amazing Scary Maze Game. You should use the mouse to move the small dot through the maze, without hitting the walls. The first level may look very easy for you, but as the game continue, the levels become more and more challenging. After finish the game you can bookmark this page and even share it via Facebook or other social networks. How many levels can you beat? Can you reach the last one or are you stuck on level 2 and can’t finish it no matter what? We are count on you and sure you can manage to finish them all. Not like other games, this game is very simple yet fun and can keep you busy for a long time. If you love zombie games, you will surely enjoy the game Ear To Die series. The story began when the town you once lived in was invaded by the zombies. You are among the few survivors who are looking for a refuge from all the chaos brought about by the zombie invasion. In the first Earn To Die, you spotted a helicopter from not so far. You needed a car to travel though. Each run is equal to a day. At the end of the day, you needed to upgrade your vehicle for better performance and to reach longer distance. However, three vehicles were needed to reach the helicopter. And only the third vehicle which must also be fully upgraded can reach the helicopter. In Earn to Die 2 Exodus, it was shown that you have made it to the helicopter. Unfortunately, after taking off and flying a few miles, the zombies were able to take the helicopter down. And so you must not lose hope to escape the zombies. Luckily, you have watched a broadcast where all survivors are being called to go immediately to the Exodus Military Base where they will be brought to a safe place. But like in the first Earn to Die, you will need three cars in Earn to Die 2 to reach your destination. You will start off with a jeep and thirty dollars cash. Each run is equal to a day. The same rule applies, you should upgrade your vehicle at the end of the day for better performance and longer distance. The longer the distance and greater number of zombies killed, the higher cash you earn. Therefore, it would be wise to upgrade the fuel tank first to reach greater distance each run. Cash earned will be used in upgrading your vehicle. There are three levels in Earn to Die 2. When you finish a level, you will unlock the next vehicle to use. However, upgrades you have made to the prior vehicle are not compatible to the next one. So you will need to once again upgrade the next vehicle. Are you looking for an adventure game which will also test your skills? Do you want a game that will challenge your speed? Try the game Mini Dash and see how fast you can finish the game. Mini Dash is an action adventure game where you take control of your hero as it dash through a series of traps and obstacles filled world. It is a fast-paced platformer full of challenges and hurdles. Run, jump, climb, slick and find the exit door of each level. Be quick to find those exit doors, try to finish the level with all the green crosses. Avoid spikes, they are deadly to your mini dash. And getting killed takes some of you time too. Do not forget to collect mushrooms in each level, they can be used to skip levels. There are five worlds to get through in Mini Dash: the Tutorial or Boot Camp, World 1 Doodle Camp, World 2 Industrial Zone, World 3 Doodle Hard and World 4 Only One. 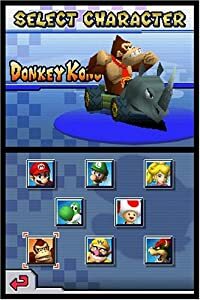 You can also get the mobile version of Mini Dash which you will enjoy more for having more levels and more characters to unlock. There are a lot of Missions to complete too. When you complete a mission, you will receive the corresponding number of mushrooms. You can see the mission tab in the Main Menu in the Box tab or in the World menu. In the Main Menu, there is also a mini game you can equally enjoy in the Box tab. It has the same concept as Mini Dash. Only, the main character is a square and the obstacles are other shapes. Mini Dash is a fun game to play for free. There are no payments or registrations required. You can simply visit http://www.plimpi.com/game/mini-dash to face the challenges it brings. If you are looking for some thrill and adventure in gaming, get ready to perform some acrobatic actions in the game called vex 3. Guide and help the stick figure in his journey to the end of each level. You will be running, jumping, sliding, swimming and even be swinging as you make your way to the end. And as you do these all, you also have to elude from the deadly obstacles along your way. Vex 3 is the third installment from the Vex game series. It is the longest and tagged as the hardest of all. Nevertheless do not lose hope, it may be the hardest and most challenging sequel but it is the most fun of them all. It has ten levels, called Acts, and even has nine Challenge stages. When you play, you will start off at the Tutorial stage where your fingers will be familiarized with the controls used in the game. It is also an overview of what to expect as you go through all Acts. You can either use the arrow keys or the ASWD keys in guiding the stick figure in its journey. In the Main Menu of vex 3, aside from the Play panel, you will also find the Stage Builder panel. This is also a game mode where you can build your own stage or Act. This game mode is also found in both Vex 1 and Vex 2. However, unlike in the said installments, your building tools in vex 3 are already complete. You need not play the pre-developed game to unlock building packs. You can already make a good stage with your building tools. Nevertheless, you can still find additional building materials when you play the pre-developed game. After building your own stage, you can save your creation and share them with friends by sending them the code. Another panel you will find in the Main Menu of vex 3 is the Trophies Room. The Trophies Room is a replacement for the Achievements Room. As you play, challenge yourself to collect all forty trophies. The first few trophies are easy to achieve. However, the higher the trophy, he harder it is to collect. If you are a pet lover and you like racing games, you should try the Duck Life game series. All sequels can be played for free. That means you do not need to spend anything just to play. And you do not need to create or login to any account before you can access the games. All Duck Life game series are for free: from the first Duck Life to the latest. And it all started when a farmer lost everything in his farm to a strong tornado. Only one duck egg survived. With the rehabilitation of his farm in his mind, he thought of training the duckling in several skills to join the prestigious duck races and tournaments. He will use the winnings to rebuild his farm. He had to train the duckling in running, swimming and flying. In Duck Life 2, he also trained the duckling in the skill of climbing, in addition to the skills of running, flying and swimming. In Duck Life 3 Evolution, the farmer had genetically modified the duck eggs. That means, ducklings are born with natural learning skills. You can choose what kind of eggs you like. But it is advised that you buy and train more than one duckling. Races in Duck Life 3 can be won by having more than one duckling. However, behind the success of tournaments involving genetically modified ducklings, the judges banned them in Duck Life 4. So you are back to the traditional way of training your ducklings. Only this time, they will be trained one skill at a time. And they will unlock one location at a time too. The fifth installment, Duck Life 5 Treasure Hunt, is a shift from trainings to adventure. There are no more training and no more tournaments. Your duckling’s goal is to find as many treasures and artifacts as possible in the cave of the dormant volcano. Like all the other versions, you can play duck life 5 for free. You should try to beat the challenges too. Even the game shop was turned into several shops. And you can now buy pets and tools for your duckling which are greatly helpful in his adventure. Play the Red Ball game series if you want to spend your free time enjoyably through gaming. Play as the cute little red ball that is so adventurous. You will be exploring the grassy hills in Red Ball 4 volume 1 as you try to stop an evil Black Square. In Red Ball 3, a bad black ball turned up, whacked down red ball and abducted Pink Ball. Pink Ball is red ball’s love. Fortunately, our brave ball saved Pink Ball and had stopped black ball from his wicked plans. Now in Red Ball 4 Volume 1, a red ball was turned into a red square by an evil Black Square. The game is silent whether Black Square and Black Ball are but one and the same. Nonetheless, that does not matter at all. What is imperative is for our hero to stop black ball from his evil plans and the captured red balls be set free. In Red Ball 4, you will indulge in the adventure of your life. Start rolling and jump on your way to rescue the red balls. It will not be a pleasant journey. You will encounter obstacles like black squares. Never touch or bump into those black squares for you will die. But jump on them to kill them. There will also be problems to solve where you will have to think first before you can go on. Not to worry though, it is not impossibly hard. In fact, there are walkthrough videos of players who had finished the entire game. But of course, even though there is nothing bad about it, you are hereby discouraged to seek any help in playing the game. There are fifteen levels to get through in Red Ball 4. Each and every level is unique and different from each other. You will also be challenged by different problems and situations where you need to think first. There are also situations where you will need to use rocks or wooden crates to jump on. Remember to collect all the golden stars as you roll on. They will increase your score greatly. You will meet the Big Boss at the last level. So be prepared to fight and make sure to defeat him once and for all. The main character, Vijay, is a racer. Unfortunately, he broke the expensive race car he was using and that car is worth $5,000,000, WOW!! And now he has to repay for the expensive repair on it. Being a professional racer, he got easily the job as an ambulance driver. And his job is to rescue all the town citizens who were in different kinds of accidents. Rescue Panic is created by Little Giant World and sponsored by gamesfree.com. It is a challenging and exciting game as you rescue the people and bring them to the hospital. Plus you have to watch out your gas, car health and car temperature. You control the ambulance by keyboard. Only, it is a little hard to control the ambulance. But probably, as you play you will have a grip on controlling it plus the upgrades will surely help. It is normal to experience stress from the daily activities that all of us do. There are many ways on how to fight stress such as relaxation and recreational activities. Some people engaged in sports like Basketball, Volleyball and Football during their free time or during weekends. Others are engaging in going on a vacation or a trip in different museums and parks. If you don’t have enough time to do such mentioned ways, you can rely on flash games like the one called Raft Wars 3. This is the third installment from the game series Raft Wars. This is a fun nautical adventure. As a player, you will have to guide and navigate throughout the water park and shoot the enemies coming your way. Utilize your weapon and tennis balls, as your mission is to retrieve your treasure at the end of the water park. This is more challenging than the previous versions because there are more obstacles and enemies set up in the water park. Have you notice that most games involve a ball or balls. There are three reasons why this thing is perfect or suitable in most games. One is because it is very familiar to most players making their playing experience more relaxed and comfortable knowing the tool or material they will use. Second is because it is a simple object and complications are less to occur. Last is because it is also involved in many sports that promote athleticism and sportsmanship that is an important trait that needs to be developed in young mind. Gyroball is one good example of this flash game. To know more about this game, just continue scrolling this whole article. This game is very simple but somehow frustrating as the game progresses. As the player, your mission is to navigate the ball towards the glowing goal. Avoid falling off the platform or else, you will lose a life. The good thing about this game is that one’s skill of controlling an object as well as coordination will be vastly improved. Guys, just guess who is back?? Yes, our famous friend Hobo is coming back with the latest version Hobo 5!! This time, he has been abducted by aliens and now needs to fight against them by applying his horrible tricks! Ha Ha! So get ready to join the adventure. The aliens will come one by one or all together. By pressing several buttons of your keyboard fight against the aliens. Sometimes, Hobo will pee on them, crap them, punch them, kick them, spit them, frat on their face there are the horrible tricks Hobo always does. Aliens will make a man who looks like Hobo, the color of dress will be different. Notice the life bar carefully, cause it will show the energy remains you have left! You will be given the option of choosing the easy level of the stages. Fight in a tricky way when many aliens will appear to defeat you!